Best Western Angleton Inn est idéalement situé dans le centre de Angleton. Venez découvrir et profiter de notre hôtel à côté des principaux sites touristiques. Réservation au meilleur prix et offres exclusives toute l'année. 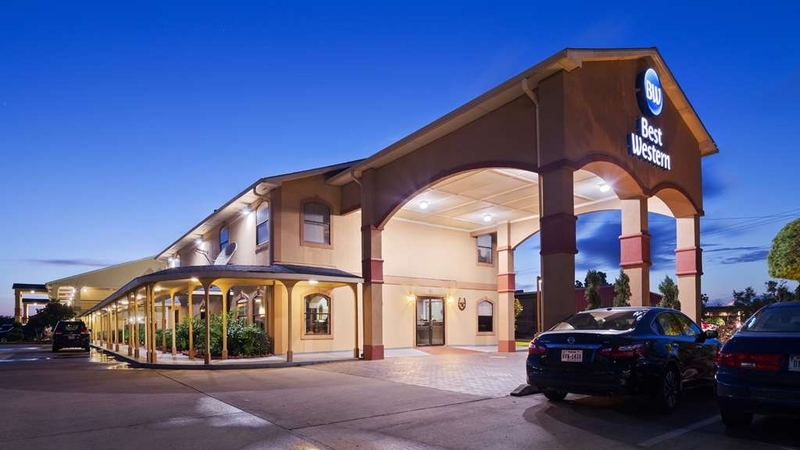 Bienvenue au Best Western Angleton Inn !Skydive Spaceland et Motorsport Ranch (MSR) Houston ne sont qu'à une courte distance en voiture de cet hôtel d'Angleton. 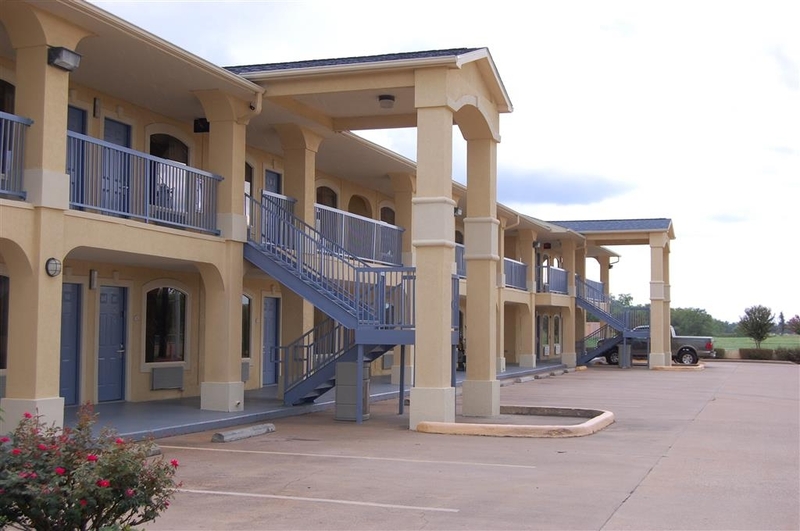 Les hôtels d'Angleton, Texas, constituent une base idéale pour explorer l'État à l'étoile solitaire. 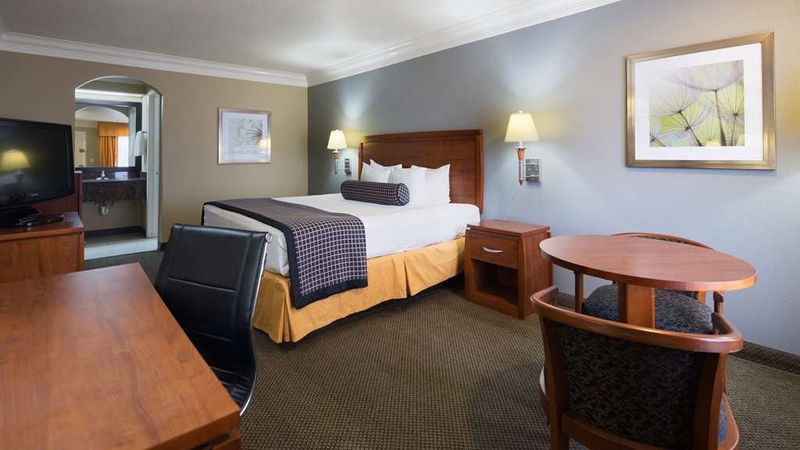 Le Best Western Angleton est l'endroit idéal pour les voyageurs d'affaires de l'industrie pétrolière, onshore comme offshore. Les employés des raffineries apprécient tout particulièrement notre situation idéale. Nous sommes situés en plein centre-ville, à proximité des administrations et des attractions de la ville. Toutefois, nous nous trouvons également à proximité des réserves naturelles de Brazoria National Wildlife Refuge et de Quintana Neotropical Bird Sanctuary. Profitez à la fois de l'animation de la ville et des grands espaces. Les employés de BASF Chemical Plant et Dow Chemical Plant et les soldats de l'Arsenal et du Centre de formation de la Garde nationale séjournent régulièrement dans hôtel d'Angleton. Que votre venue soit motivée par un voyage d'affaires ou des vacances, vous méritez un hôtel donnant la priorité au confort des clients. Profitez de nos chambres agréablement aménagées, de notre équipe amicale et de notre petit déjeuner chaud gratuit incluant gaufres, pâtisseries, fruits, céréales, yaourt et café 100 % Arabica. Angleton accueille quelques-uns des plus grands matchs de softball et de baseball de la région et notre hôtel est la destination de choix de nombreuses équipes sportives. Dans un rayon de 8 kilomètres, vous trouverez de nombreux restaurants et boutiques comptant parmi les meilleurs de la ville. En plus d'être idéalement situés dans le centre-ville, nous disposons également de la meilleure piscine de la ville, qui est parfaite pour les chaudes journéesd'été. Tous les clients peuvent accéder gratuitement au centre de loisirs et de fitness d'Angleton. Nous sommes également à quelques minutes à pied des supermarchés Wal-Mart et Kroger ouverts 24 heures sur 24. Réservez une chambre calme, fraîche et spacieuse au Best Western Angleton Inn pour profiter d'un séjour reposant dans un établissement idéalement situé ! Dear Valued Guest, Thank you for taking the time to share your review though it is very disappointing to learn of the impression we made during your recent stay due to the condition of our amenities. We are forever working to improve upon the guest experience during our renovation process and I hope you will remember our attributes for when you return during another trip to the area to see how we have improved to impress you even more once work is complete. I was visiting family due to death and needed somewhere close to stay. For the most part, the hotel was average - price was decent, breakfast was good, staff was friendly. Just need to spray for roaches - in the bathroom, on the night stand, and I found one crawling in my bed. We stayed in an emaculent pet allowed room. All clean and comfortable. Everything in good working order. Very pleasant stay. 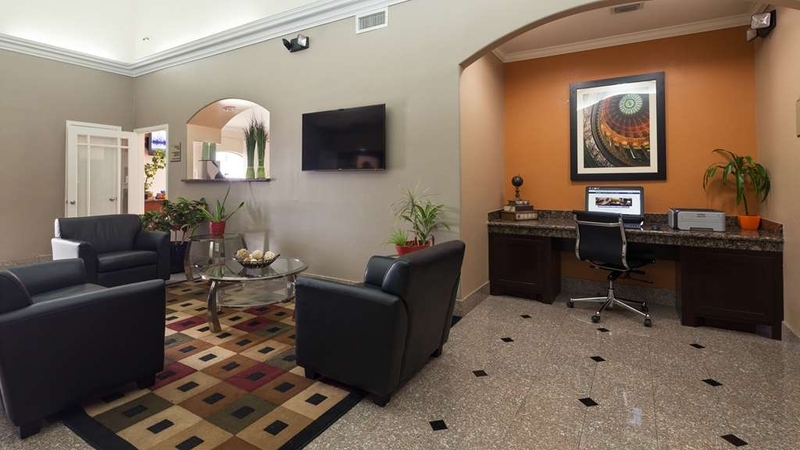 We have stayed here multiple times and everything is consistently well taken care of. It's a motel. It's a decent motel. It might be a deluxe motel for Angleton, Texas. If I have any advice for you, it is this: NEVER GO TO ANGLETON, TEXAS. Problem solved. Okay, a detail or two. Breakfast is okay if you get there early. AC is fine if you don't like it cool when you sleep. Bed was okay. There was hot water with decent pressure. Wi-fi was present, but don't plan on streaming much. TV had HBO. Ice was available. Vending machines were empty. It's a place where many oilfield workers stay. The ones I met were great folks, but at 6 AM, they were noisy. Is that on the BW? Kinda! The doors to the room were "sticky." Hard to open and hard to close. That's why the slamming of the doors before the crack of dawn was so annoying. Bring earplugs and/or noise-canceling headphones and you'll be fine. Just don't expect to sleep late (8:00) and still get a hot, fresh breakfast. "BW is back in the game"
I travel a lot, and after several less than ideal stays with Best Western's in the past I had sort of given up on them. But, within the last month I've stayed at two different BW's in Texas and have been extremely pleased. 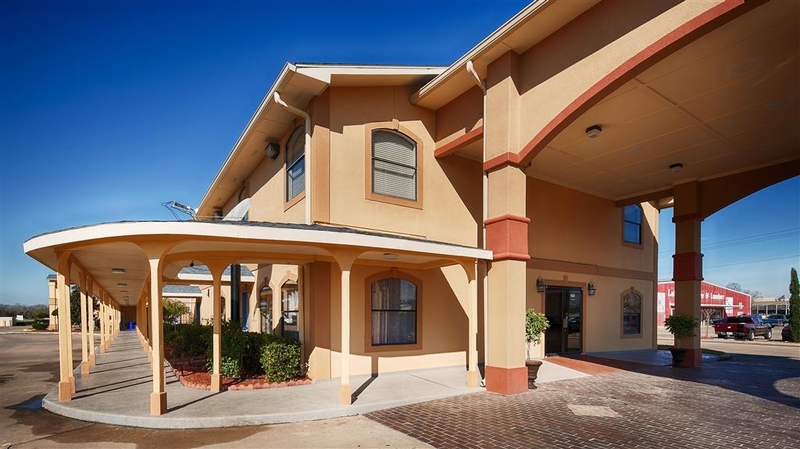 Both were recently updated, modern, beds were cozy, room smelled fresh and outside areas were well-maintained and the extracurricular activities in the parking lots were at a minimum. 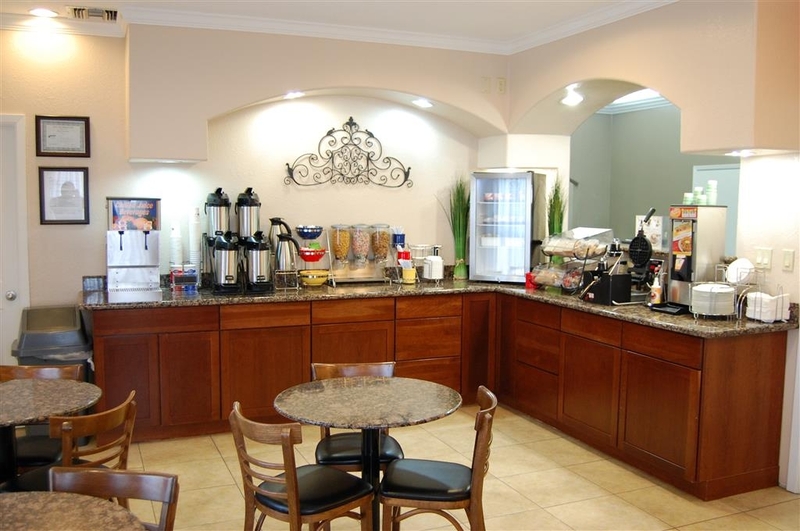 To top it all off, rates were in the mid-range, breakfast had a lot to choose from and the food area was well-maintained, they have late checkout at noon, and staff were welcoming and didn't appear annoyed at having to do their job. All top-notch. I Will definitely target BW's now wherever my travels take me. WOW! We could not have expected a more perfect review. I greatly appreciate the compliments to the staff and hotel. It is truly our pleasure to exceed Guest expectations and we are pleased that you enjoyed your stay with us. We look forward to Welcoming you back on your next trip to the area. #BWSmiles! 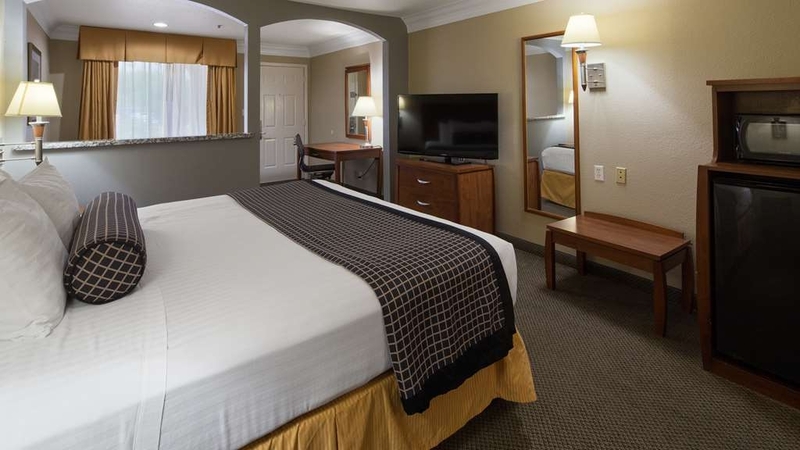 Best Western Angleton has been refreshed and upgraded since the first time I stopped in. 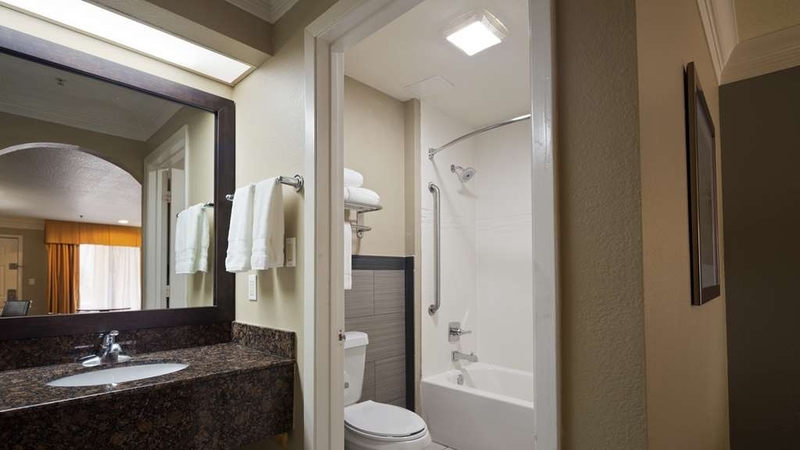 All the expected amenities in the establishment, Nice large TV, good bath linens, new bath fixtures, and tile flooring in bath nice fridge WITH a freezer! Comfy bed and staff responded well to my request for a ground floor room. Room style is dated but cozy comfy. Reasonable rate at this time of year, that was nice! Good location for coastal visits, or exploring the coastal plain ranching area, and a jaunt to the city of HOUSTON without having to stay the night there. I liked it. You should too! 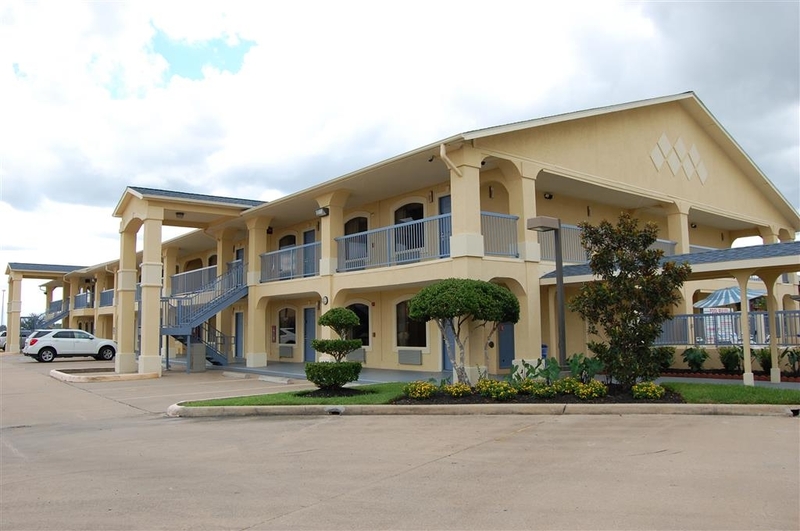 Thank you for your review of the Best Western - Angleton Inn. We enjoy hearing that our guests have enjoyed their stay so much that they will come and visit us again. Our staff strives to make sure every guest enjoys their time at our hotel. We hope to see you again soon. Thank you again for the great review. "So-so experience with Best Western." Room reservation for 2 queens was messed up but was corrected. Outside was noisy as there were a lot of oil industry workers staying there. Breakfast from 6 to 9 am was bland and completely wiped out by the workers with little left for late-comers. Rooms were clean but hotel was over-priced and not worth it. The room was clean and worked for our needs. We had two vehicles instead of the usual one that gets declared during check-in and the hotel was accommodating with this unusual request. The hotel is right next to Walmart. This made for an economical dinner without having to drive or walk long distances. The front desk clerk was efficient and polite. We'd stay here again. Thank you for staying with us and for your review. We're so pleased you enjoyed your stay with us as we take great pride in providing an exceptional stay with superior customer care. We look forward to Welcoming you back on your next visit to the area. Thank You. "Stayed a weekend while in town for a wedding"
Hotel was clean and convenient. Prices were reasonable considering hotel rooms were not in abundance in the area. Dining choices are also limited unless you're ok with fast food choices. Would stay again if in the area. The rooms are really nice big and very clean. New carpet it's awesome. 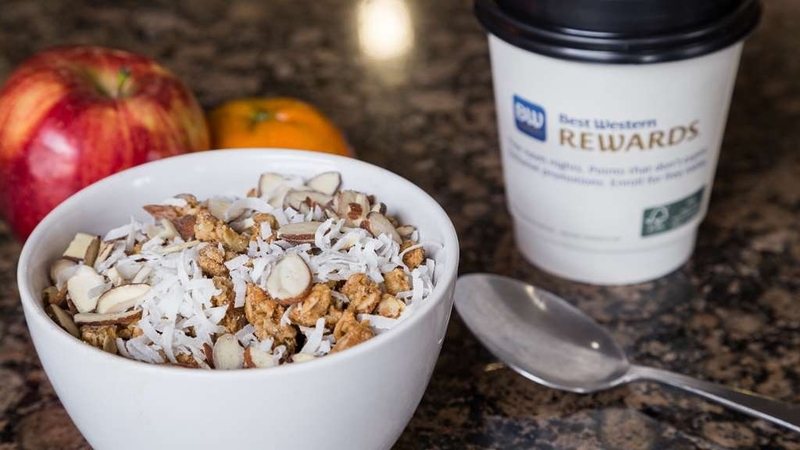 They have a good selection on breakfast, eggs ,sausage ,cereal ,hot cereal ,pastries ,delicious waffles , fruit , juice and more. Will stay here again. Price difference between La Quinta $139 and Best Western $95 was probably because Best Western is further in town, but easy enough to find, certainly for the price difference. Room was clean and presented well. Refrig, micro, King, desk and table. Had actual waffle maker which worked smoothly . Would stay there again. We had a family reunion in Angleton, TX on March 3rd. There were 7 rooms booked at this hotel for our out of town guests. I personally paid for 3 of them. One of the rooms that I paid for the TV did not work. When the front desk was called it was stated that the owners were out of town and nothing could be done. An hour later they wanted to come to the room (almost midnight) to look at the TV. No thanks. The room I stayed in had a mold/musty smell that never went away for the 2 days I was there. The floors were not vacuumed for the 2 days I was there. The bed was so hard I think the floor might have been softer. Never again at this Best Western. And maybe not even a Best Western in another town. Too much money spent for crappy rooms. On behalf of our entire team, I would like to apologize for not exceeding your expectations. Your satisfaction is important to us and we will be using the feedback you gave us to implement improvements to ensure we offer a better experience for guests in the future. I hope that you will consider staying with us again so that we can have another chance to provide you with a superior experience. Thank you for the review of your recent stay with us. My sincerest apologies for your room cleanliness being unsatisfactory. The desk clerk was very sarcastic at checkin when there was an incorrect name on the bill. Additionally the room had trash in the trash can and floor had not been vacuumed from prior guest. Breakfast was good with numerous options. Odd/musty smell - had to go buy a candle. Needs better door locks. Changed rooms after spider crawled out on pillow- looked like brown recluse! Door bolt broken in that room. Front desk personnel not very friendly. Good Breakfast - pretty good variety. Located next to Walmart which is handy! Comfy bed. Didnt use the pool but it looked nice. "Good but easy complaints online have not been addressed"
Bugs and door seals are simple fixes so is room odor though we didn't encounter that. Bugs and the door were seen on multiple sites I reviewed for this site from a month plus ago stay reviews. For 120$ +tax a night at a BW that's unacceptable to not have these simple fixes complete the next week. Well, I'm afraid TripAdvisor reviews may have led me astray on this one. I picked this hotel based on the highest number of ratings and the rating. I'm afraid both were wrong. My room smelled horribly moldy and musty like it had been flooded, but it was not according to locals. It was 40 degrees my entire stay, but I kept the AC on at 70 the whole time to keep the smell down. The room was pretty dirty overall. If I had my family with me, I would have left. Since I was on business, I powered through. All corners has dirt in them. There was, *ahem* hair in the tub and on the toilet seat. I could see where the previous tenants had left their hand soap on the sink/counter. There was what appeared to be blood stains on the curtains and lamp shade?!?! The dead bolt latch was loose and had obviously been pushed or kicked in. All in all, I stayed two nights. The first night I spent most of the night coming up with a story in my mind of a broken picture/glass, a cut hand cleaning it up, grabbing the curtain to get up, and them trying to turn the lamp on before passing out. Then someone calling 911 and the paramedics kicking in the door to save his/her life. Anyway, it was dirty enough that I didn't sleep night 1, and I made up a good enough story in my mind and I was just too tired to care night two, so I managed 2-3 hours of sleep. I was traveling with a second person who had the same experience in an adjoining room (minus the blood stains). So I don't feel like I just got a "lemon". Would not stay again. Sounds like the other major chain in the area is much newer and cleaner. First and foremost, thank you for choosing our hotel for your recent stay. Please accept our apologies for the frustrations you experienced. These issues are not normal, nor are they acceptable at our hotel. Your comments and concerns have been addressed with the team. We appreciate knowing how we can improve, and we will. We do hope you will consider being our guest when you return to Angleton. "Great customer service and caring staff!" The entire staff from the front desk to house keeping always had a smile and willing to go an extra mile to make your stay a wonderful experience. The hotel is extra clean and the breakfast selection is great. 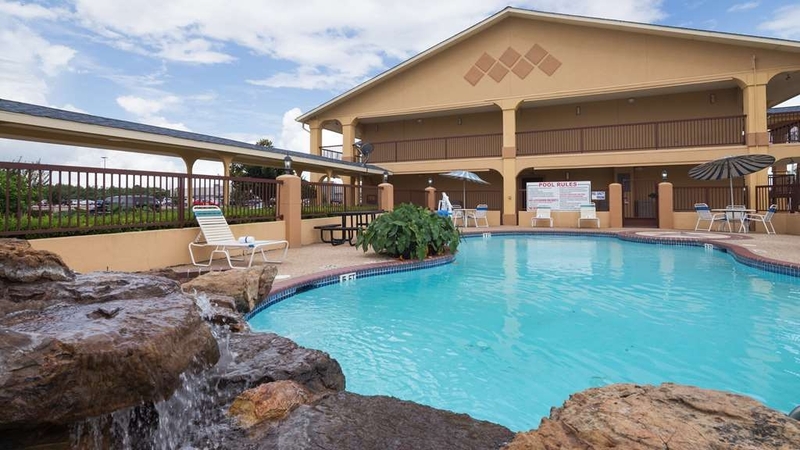 I would stay here over any other hotel in angleton! 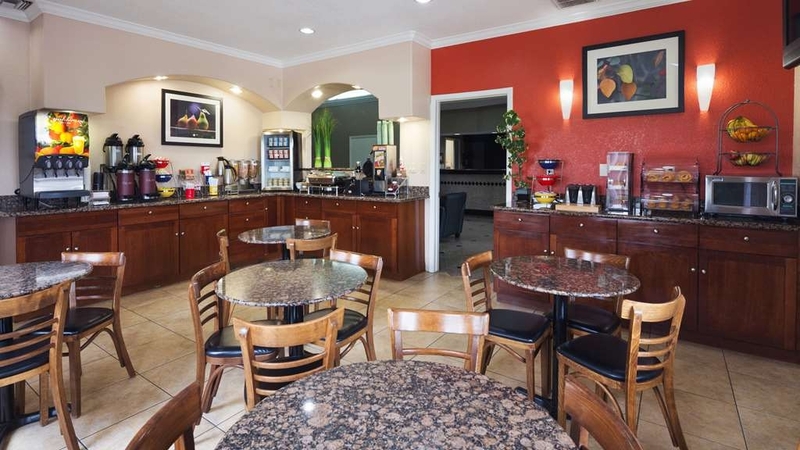 Best Western Angleton Inn has a good variety of breakfast, fast wifi, and an eager to please staff! The check in/out process is fast and great. I always stay here and will continue to stay here as it's my home away from home! I actually meant to book my stay at the BW-Clute location, but it wasn't a big deal. When I tried booking online, the standard single king room I wanted was not available. I had to book a standard double queen room - after checking in and making my way to my room, I noticed I'd been unexpectedly upgraded to a single king suite, and not charged extra for it. I was really grateful and surprised. The room was fantastic, as well as the staff, and we really loved that they welcomed our (housebroken) dogs for a very small fee. The title says it all. The wifi here never works. I've spent more than two months at this hotel off and on over the last 4 months and each time its the same issue. The wifi signal is weak, constantly drops signal or isn't strong enough to load web pages. Since I stay here for business, this is a big issue. Oh, and the breakfast is just sad. BW Angleton is a well upgraded property with all the amenities you would expect with a pool and no fitness room ( at least I was not aware of one) outside of the room, but inside you have a remodeled bath with nice upgrades, good linens, comfy bed, TV with several premium channels, (and they all work, unlike Dilley, TX with one) Fridge w/freezer, microwave, all that you need in the room like coffee maker, hair dryer, iron and board, plenty of lighting etc. Only problem I saw was that this location charged a premium price for the type of property, I stay at BW Plus locations with better rates and more to offer. Otherwise it will be what is decided by mgmt. anyway. Nothing wrong with the property and the facilities there. Convenient and comfortable and as a bonus, Wal-mart is next door!! Stop in and stay a while! folks are very friendly and helpful! Thank you so very kindly for the raving review! 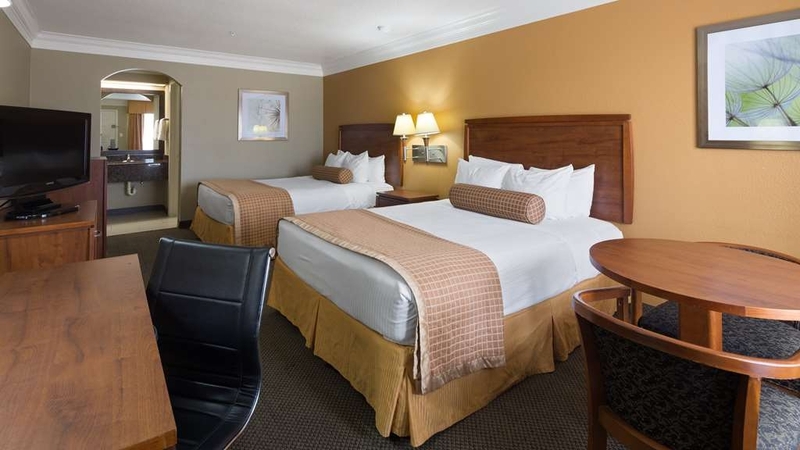 We pride ourselves in providing the best accommodations in Brazoria County. It was truly our pleasure and we look forward to Welcoming you back on your next visit to Angleton or the surrounding area. #BWSmiles! The staff were friendly and accommodating, the breakfast was hot and fresh, having Direct TV in the room and HBO channels to choose from was great, and the internet was fast. I will definitely stay at this location again! Overall a comfortable stay! Pillows were a little flat, but bed was comfortable. Room was clean. Quiet. A.c. very cold. Disnt eat breakfast, but the front desk was very nice. Check in was easy as was check out! "Best Hotel so far in Angelton"
Very Clean and friendly. It was our first time staying here. We will be back.They have a free breakfast but we did not get a chance to make it. The room was nice and quite. We could not here any outside noise. "Twice Yearly 20 Year Return Visitor"
Nice place to stay, always friendly. Close to Smithhearts, Great restaurant plus Walmart. It's not the Ritz but if you are on a budget, the rooms are clean and the staff are great. I have stayed there for years. Not many hotels in this town but we were satisfied with BW. It was clean and comfortable and had a great breakfast! Waffles, eggs, sausage, fruit, yogurt, cereal, pastries and things to toast. Choice of beverages also. Check in and check,out was a breeze! 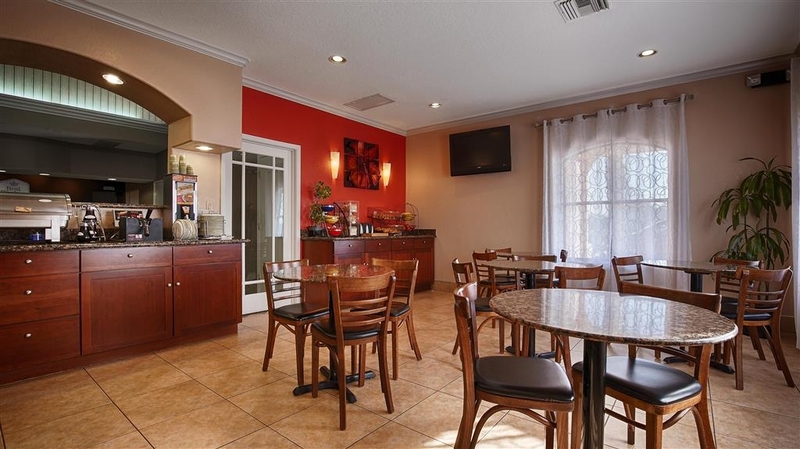 "best choice in angleton but not many choices"
Best Western had a great breakfast selection with a variety of fruit, including the easy to peel mandarin oranges. The sink area in our room was dark which made make up application difficult. It was also a bit crowded in that area since the rack for clothes hung there. The room was basically clean and the bed was comfortable. It was helpful to have the freezer for our ice pack. 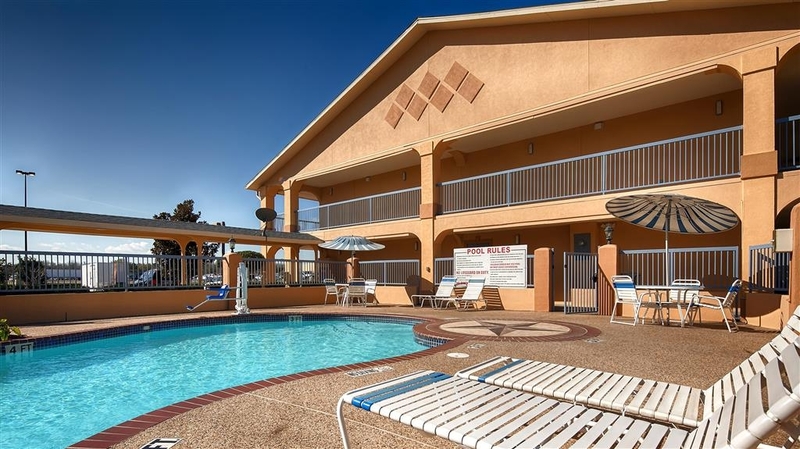 When I made our reservation it was $85 AARP Our stay was extended and the price had gone to $98 AARP so we did not opt to stay there but went to Galveston instead. We did not use it but there was a nice pool area with a waterfall There was good water pressure, the room was quiet, and there was a desk as well as a table. 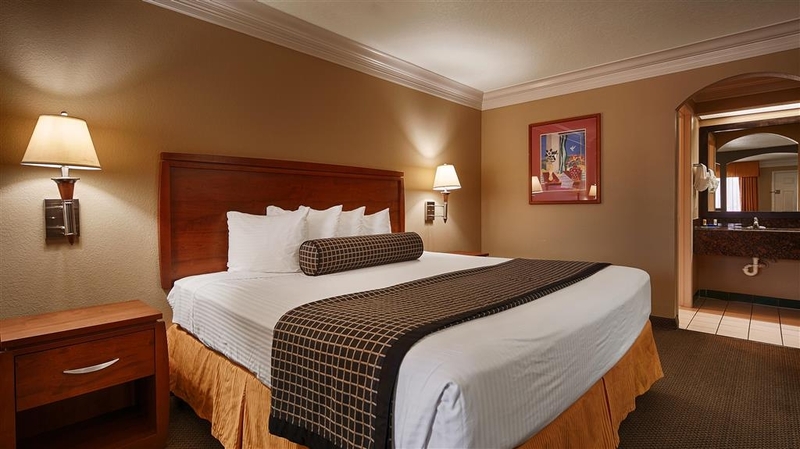 This hotel is the best choice in Angleton but the choices are very limited. It is fine, but too expensive for the level of accommodation. Lately I have not stayed at Best Westerns but this one looked like the best choice for the area I was in. It's an older hotel and they are trying to remodel so it's under some construction. Later st dusk when checking in they were not very lit up as far as lighting goes so it was hard to tell if they were even open at first. The room they gave me was adequate but it still had a funky smell to it. The bed was not as comfortable as I like so I woke up to often and to early. There have Ben nicer BW's I've stayed at. Thank you for your response here. I appreciate you taking the time to extend your feedback. I read all of them and take them very seriously both critical comments as well as those that had a pleasant experience. Please contact me and I will certainly address your concerns and do what I can to make it right. 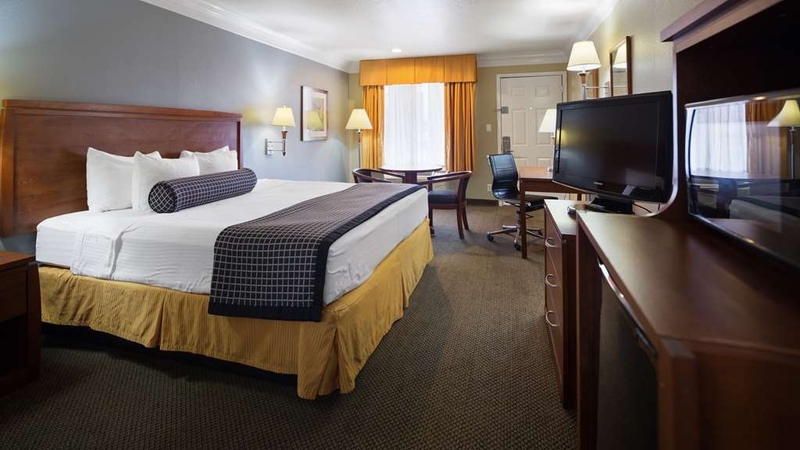 "A good evening in Angleton"
The Best Western in Angleton is a great choice if you are in the area. 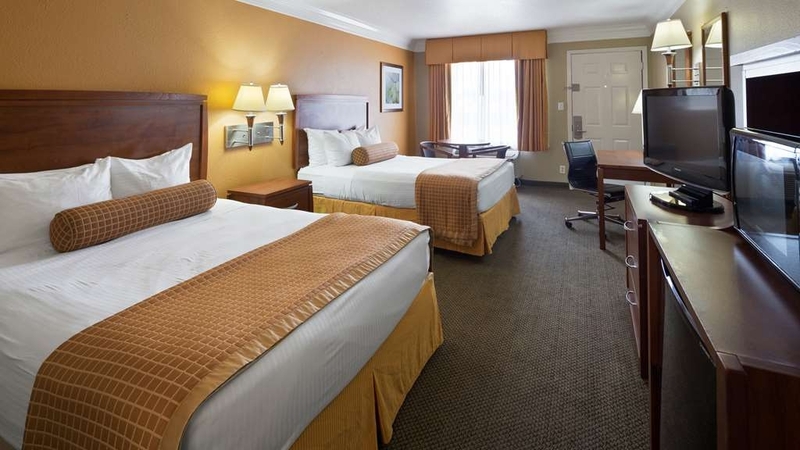 Clean rooms, and a good complimentary breakfast make it a fine place to stay. The only complaint would be the square bed pillows, which look good in the decor, but are not as practical for sleeping. I am truly sorry that you had issues at our hotel. I appreciate you responding here, however on this platform I can not review your concern. I also am sorry that our team was apparently unable to rectify your concerns as well. Please contact me directly and I will certainly address your concerns and do what I can to make it right. NO hot water Bugs Broken fixtures NO crib as advertised This was a terrible experience all around. We went for the holidays. We had no hot water the entire visit. Spider and roaches in the bathroom. Toilet paper dispenser fell out of the wall when we tried to use it. Website claimed they had cribs upon request, they did not have one on the property. Thank you for taking the time to write a review about your recent stay at our hotel. We appreciate your feedback, and we're very sorry you were unhappy with the condition of your guest room. Guest feedback is incredibly important to us. We are taking your comments into consideration as we take the steps necessary to make it right for you and our future guests. We hope to have another opportunity to serve you if your travels bring you back to our area. The ongoing renovations are nice but with barely warm water, this stay was not great. Call them about the hot water before you book here. And stay away from the 2nd floor on the back of the motel. The walkway railing there is gone and they've piled construction material to make it even more dangerous. The bed was super comfortable and the TV was huge. But the lack of hot water was also huge. Thank you for sharing your overall experience with us. We truly apologize that your stay didn't meet your expectations and wish you would have shared with us while visiting to give the staff the opportunity to Make It Right. 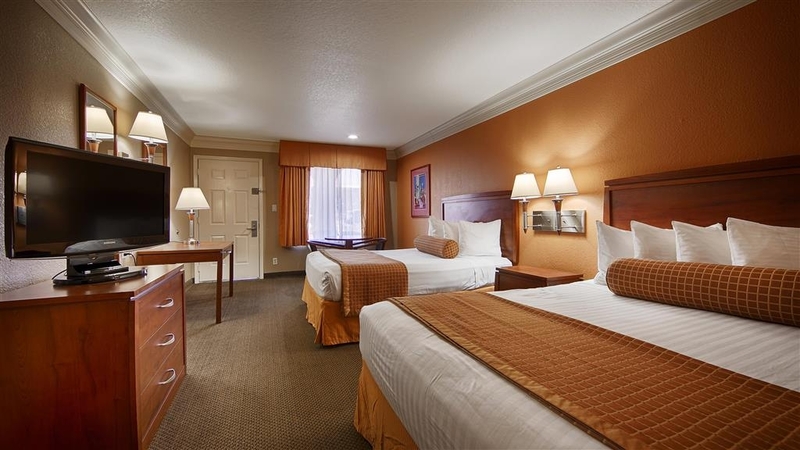 Good service, staff helpful, they are working on upgrading the hotel at the Angleton location. I have never went to the front desk with an inquiry that they weren't able to help me. In Dallas the manager went out of her way to tell me about several nearby attractions she thought my granddaughters might like to attend. (they are 15 and 10). Then she went into detail about a bus line that ran near by that saved me a fortune in parking. She made a recommendation for the Perot Museum which I had not even hear do before. It turned out to be the best experience we have had at any of the museums we have seen. 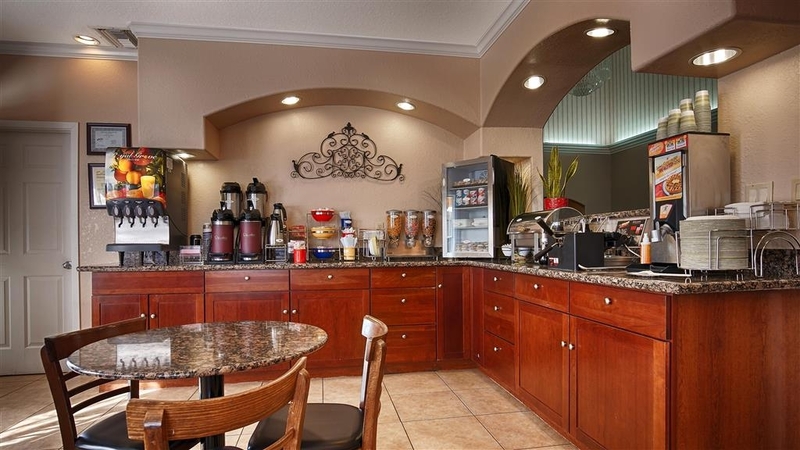 They always have coffee on hand and their breakfast is OK.
Hotel is in need of rehab ...Breakfast less than desirable , Carpets were old but pretty clean ,, air conditioner unit was noisy .. Staff was pretty helpful but not real gung ho or enthusiastic about service .. They are in the mist of remodeling the hotel, it has fresh paint, new landscaping, our room had new bathroom fixtures and tile. Comfortable bed, lots of movie channels, all in all for the price not bad at all. The breakfast was a little lacking, but edible. Thank you for your review. We are glad that you enjoyed your stay with us and we appreciate your wonderful feedback regarding our hotel. 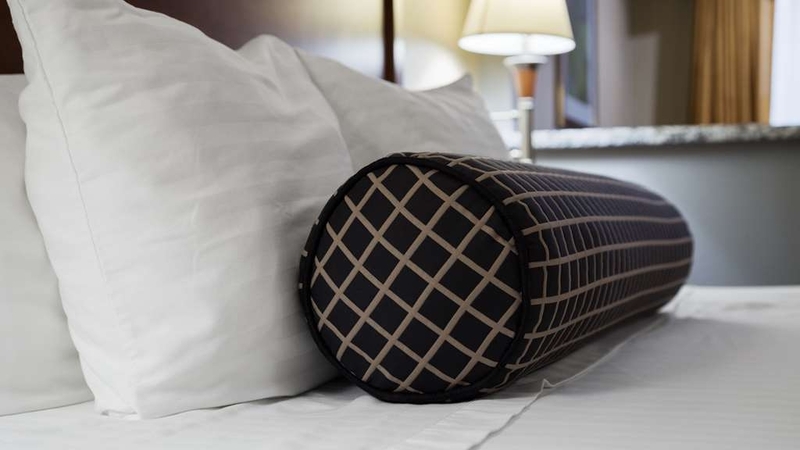 It is our goal to provide both quality accommodations and exceptional service to every guest. We thank you for your business and we hope that you will visit us again very soon. "Pretty much as one could expect." Hotel was pleasant, rooms were clean, all was mostly good. Some minor irritations, wi-fi iffy and needed to be reconnected frequently, room needed to have electric sockets replaced (plugs wouldn't stay plugged in). Breakfast items should have been refilled more frequently, but breakfast was good nonetheless. Do not agree with $20 pet fee. We had a good time at this hotel. The staff is very friendly and cooperative. The breakfast was good, but reduced. The pool was very clean. The room was clean but we felt some humidity in there. Generally, I think that this hotel is a good option to stay and enjoy in every occasion. We appreciate your recommendation and time taken to review your recent experience with our property. 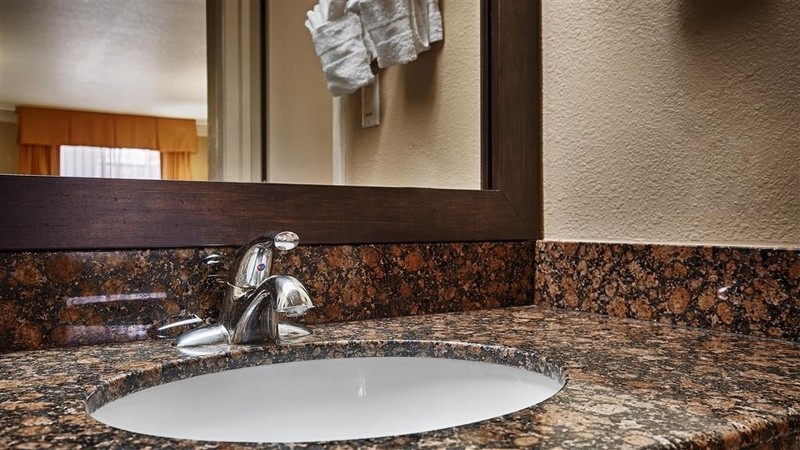 It is great to hear you enjoyed the property's location, complimentary breakfast, room amenities and cleanliness. We hope to welcome you back soon! ...for what it is. A small, reasonably priced, motel on the main drag in a small town off the beaten path. Nice, clean, and comfortable with everything in good working order and repair. Nice, shaded, but small, pool area. Angleton really isn't on the way to anything (ok, it's between Houston and Freeport, but that's a day trip) and it isn't on an Interstate with tons of traffic. Most of the parking spaces were occupied by construction and oilpatch pickups. There's a WalMart next door. Snicker if you will, but that's a convenient catchall for a traveller. Also a selection of eateries, chains and local, stretch up and down Business 288. Pro Tip: Grab a beer or two and catch an amazing Texas sunset over the pretty prairie pasture out back of the motel. Recommendation to the staff: Place some simple outdoor furniture (and maybe an ashtray) back there along the currently empty back wall of the building. You don't have much special to offer, but that really is an unexpectedly aesthetic asset going untapped. Greetings, Thank you for taking the time to share your experience. We are happy you enjoyed the nice and cleaned location; It is nice to know you enjoyed our relaxing pool. 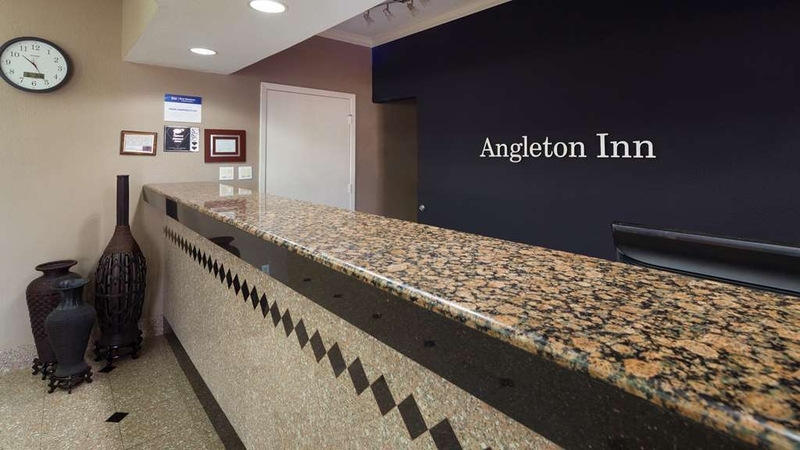 The next time you visit Angleton area we will be happy to welcome you back. "single-traveling, dog-loving, best place to stay!" if you travel with dogs, it's the most comfortable place to stay. your dogs will have a large grassy area to stretch their 4 legs. there is also a Wal-Mart within walking distance....how gr8 is that?!? Located right next to a Wal Mart which came in very handy this trip. The staff was wonderful. The room was better than expected. I asked for a smoking room and was amazed to go in and it not smell like an empty ashtray. I will make sure that I stay at this hotel the next trip I make. Thank you for the five star rating. It is nice to know we exceeded you expectations and you were complete satisfied. We are happy you enjoyed our location and our guest room.Any time you visit in the Angleton area we will be happy to welcome you back. I have always stayed at this hotel when in the Lake Jackson/Freeport area. The staff has always been very helpful, friendly and accommodating. I stay at the hotel while in the area on business and find the location extremely to get to and from my work location. I usually have to leave before breakfast, but when I have the time for breakfast, the selection is very good. Many thanks on the 5 circle experience review during your recent stay with our property. We are pleased to hear our service and staffs hospitality were great. We hope to welcome you back and all your recommendations to the property soon! Room was EXTREMELY musty smelling. The owner or someone connected to the hotel had a large family event - playing children in the parking lot, cars parked along the curbs. When we got there the room smelled so bad we left the door open for some fresh air and two men from this family group came upstairs, opened the room next to ours and walked back and forth in front of our door drinking their beer or cider or whatever it was. This may seem typical behavior - if they were guests - they were not - and it annoyed me that they would act this way. I was travelling for business with an associate, we are both female, so I really did not appreciate this behavior.. The hotel was clean and comfortable, however, NO WIFI AS ADVERTISED. In today's world of electronics, WIFI is essential for the guests. I was located very close to the hotel office and still unable to receive their wifi signal. Pleasant and helpful reception staff. Clean room with all facilities necessary including fridge and microwave. Very comfortable bed and bedding Very good breakfast including scrambled egg and sausage. The staff was great. I booked on hotels.com and the reservation never made it to the hotel. Brian was able to get in contact with hotels.com and get everything straightened out in no time. The beds were great and my husband loved the channels that were provided. "Best place to stay in the entire area"
This is our room away from home when we travel to this area. Great staff, central location, well cared for factility. Definitely recommend. We have never been disappointed. Breakfast is buffett style, but offers many options. "SUGAR FREE IS A HIT"
WE HAD A NICE TIME. I feel that what help was that a breakfast they provide sugar free syrup..as diabetic that important.Pool was clean, they lights did not come on at first but we told them and they address it. It was nice and quite even though it was spring break...I was traveling with grandbabies and went to the beach. It is only 15 milies away but its straight shot. "Decent if you don't want to spend a little extra"
The room itself was fine - beds were comfortable. Shower was fine. Decent hot breakfast. But the room smelled like smoke and it was supposed to be a non smoking room. It had the little non smoking plaque and all. Same for other family members rooms in other parts of the hotel. They all smelled bad so I didn't feel changing rooms would help. We sprayed and aired out as best we could, but as soon as the room was closed back up it smelled bad and definitely bothered our allergies. I wish we would have spent the extra and stayed at the la quinta. My wife and I stayed here for 3 days. The place is easy to find, right off of 288. The check-in was easy, the folks are all nice. The room is spacious - plenty of room in a standard King room. There is a work table and a separate table with chairs for eating or just sitting. Bed was comfortable. The TV has a ton of channels and works perfectly. There is also a nice refrigerator and microwave in the room. Everything was clean, all the lights worked, etc. The only drawback here is no elevator. Breakfast was very good. They had scrambled eggs, sausage, waffles, bagels, muffins and sausage biscuits. Juice, milk and coffee. It was quite a surprise and welcome. Would stay here again in a New York minute. We decided to stay in Best Western because it was the best rated hotel in town, although it's a small town. But it's well deserved. The check in process was very easy and the gentleman working the front desk was friendly. He told me everything I needed to know and where's the best place to park. It's an outdoor hotel, meaning you don't go inside the hotel to get to your room, and while I usually don't feel comfortable with those type of hotels, this was an exception. The room was very nice and clean. You could smell it had just been cleaned that day (which I loved). The bed was very comfortable, and the bathroom was spotless. They had a very good selection of channels, so there was always something good to watch. The pillows weren't too comfortable for my liking, but that was my personal opinion. My girlfriend apparently really liked them! Also their in-room coffee was some of the best I've had at a hotel ! Anyways, everything worked perfectly, the shower pressure was great and the AC was just fine. I didn't have any issues at all. When I called at night to inquire about the check out time, the lady at the front desk was exceptionally friendly (especially for someone working the night shift).Although I regret I didn't get any of their names,I really enjoyed the customer service here. The hotel is located right next to a Walmart, which makes it perfect for the little things we forgot to pack. I was too lazy to wake up for breakfast but I heard good things about it so I'll definitely try it next time I come back. Overall it was a great experience and I'll definitely stay here next time I'm back in town! Thank you for your 5 star review! We are so happy to hear that you had a great experience while staying with us. Our goal is to provide our guest with a great experience and we are very happy to hear we achieved this. We look forward to seeing you again on your next trip to Angleton. I was pleasantly surprised. For $85 a night my room was spacious, king-sized bed, clean, well kept up. Room had a fridge and coffee. Bed was comfy, everything in the room worked, staff was friendly.. No problems. Recommend as a nice place to stay. Fancy is miles and dollars away. Thank you for your review and feedback. 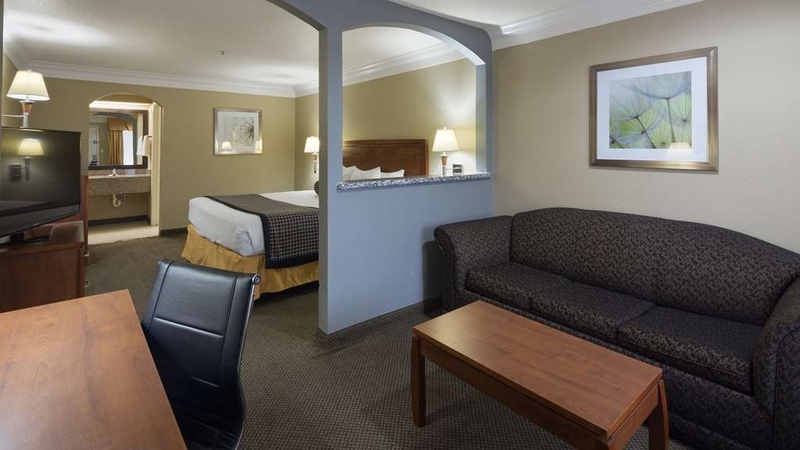 We are glad you enjoyed your stay, in our clean, comfortable suite rooms. We hope you come back and see us again! Not great, but not awful either. A perfectly acceptable overnight stop. My room (a double) was clean and spacious but the air conditioning unit was noisy. The bed was comfortable and there was a reasonable choice for breakfast, although not as extensive as offered by comparable European establishments. No reason not to use. Thank you for taking the time to provide us with your feedback as this is important to us as it is how we improve the experience we provide our guest. Please know that we will address the several items you mentioned and correct them to make sure it does not happen again. We value your business and look forward to your next visit. The hotel was very nice and clean, I came to visit family for thanksgiving and did not have any problems whatsoever, thumbs up! & Walmart was right beside it and Kroger in front...restaurants very close, some are even walking distance. I enjoyed my stay, Thank you! Great staff always willing to offer advice and help, clean rooms with plenty of space for luggage and relaxation, very safe environment, good, hearty breakfast, central location. Perfect place to stay for business or vacation.. 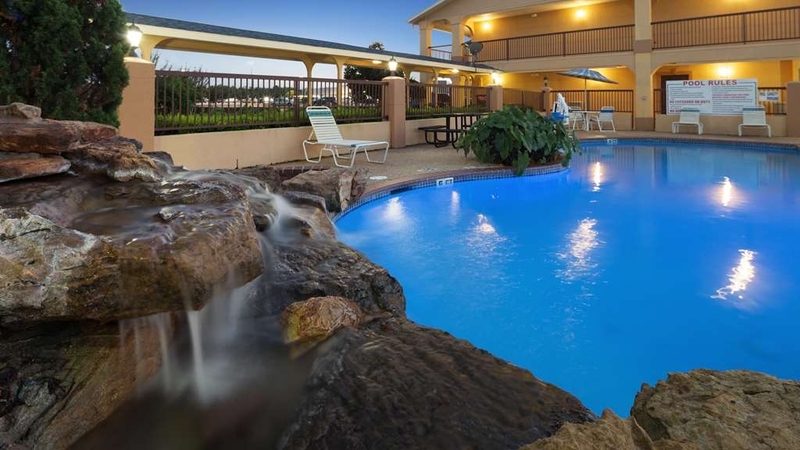 Thank you so much for taking the time to share your experience with others and recommending us as the place to stay while in Angleton. 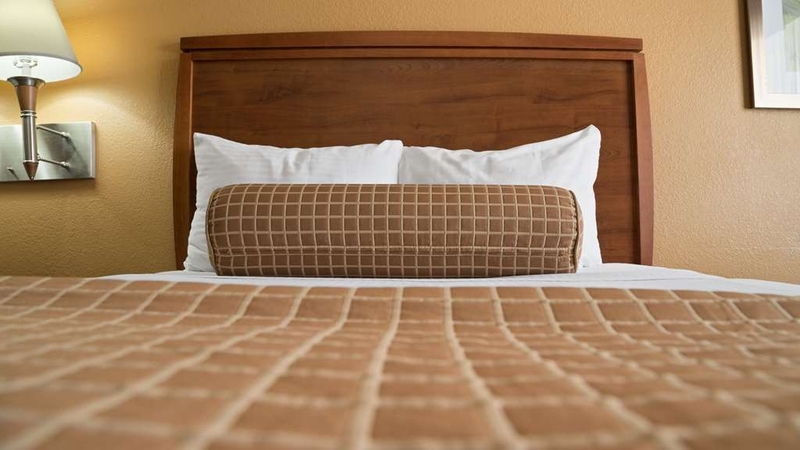 We are grateful you chose to stay with us and we hope to continue to be your hotel of choice when visiting Angleton area. 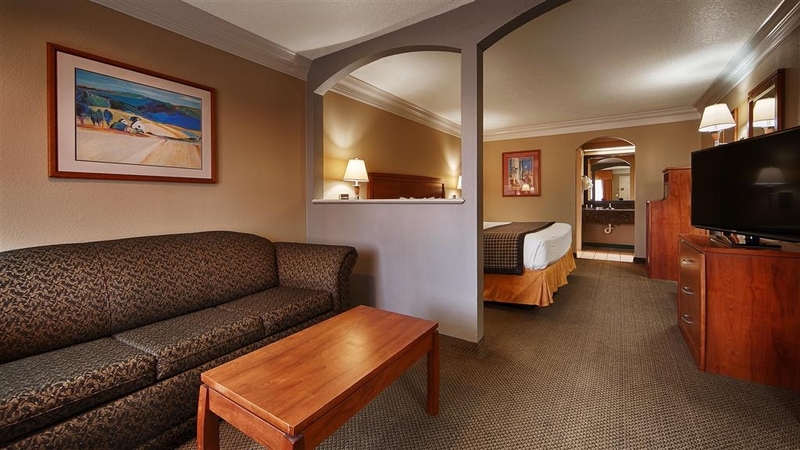 They hike the rates up during Angleton market days but the rooms are nice and feel safe. Wal-Mart is practically walking distance in case you forget stuff. Microwave, big mini fridge, nice pool, and decent to good breakfast with great hours of 6 to 9 even on weekends. The staff is friendly too. If the price was better I would stay again. Its a lot more economical to drive 5 to 10 more minutes to save 50 dollars. Stayed at this facility on a recent business trip. Staff was nice and helpful. Rooms were clean and comfortable. Outside noise was minimal despite being right off the "main drag" in Angleton. Several restaurants nearby that were good. The breakfast was good and had fresh fruit and an assortment of other offerings. While I didn't try the pool, it looked clean. Staff helped me get signed up on the rewards program-it was painless. I was here on an overnight trip for work. I stay here often. It is located near a few places to eat. Will definitely stay here again. The rooms are comfortable and clean. The breakfast items are usually out early for those that need to leave for work. We have our own company and are frequently on call. So we come and staycation at this hotel . We come for the pool. The pool area is always clean and pool is well maintained. There are very nice restaurants close by. The staff even found my pool floats and stored them until we got back from a call. The staff is always very friendly and helpful. The pillows were not of good quality. Room was very clean, tv was nice, there was a table and 2 chair to eat in the room which was very convenice, a study table, fridge & microwave which we loved. Over all it was good - the pillows were just what made my experience crappy. Enjoyed the room very much. The hotel was very close to Wal-Mart and different restraunts. Very nice room. Breakfast was very good and plenty to eat. I will recommend this place to my family and friends when they go to this area for them to stay at. Well job to everyone. "Great Service - Great Room"
All good at this hotel! Will stay again if the opportunity arises. Room had everything we needed and was very clean. Bed was very comfortable. Pull out sofa sleeper left a little to be desired. Was a good choice for a wedding weekend at nearby Brazos Springs in Lake Jacksonville. I've been here many times, it's a nice motel and I really only have one gripe....I've got a lot of tattoos and work my you know what off, as do a lot of the folks who frequent this property.....I've hope the management knows their employees with tattoos do the same thing. We had to stay in Angleton to attend a funeral, and based on the reviews, we decided to stay here. For the price, I had higher expectations. Staff was pleasant and check-in was easy. I was provided with a WiFi password but was never able to connect. Ended up with a smoking room because there wasn't anything else available. It smelled like a smoking room. No surprise there. The room was dated. The large dark green whirlpool tub in the room was a surprise. Not my thing, but it may appeal to some. The room was small but functional, everything appeared clean, but the carpet was old and probably the cause of the lingering smell of smoke. 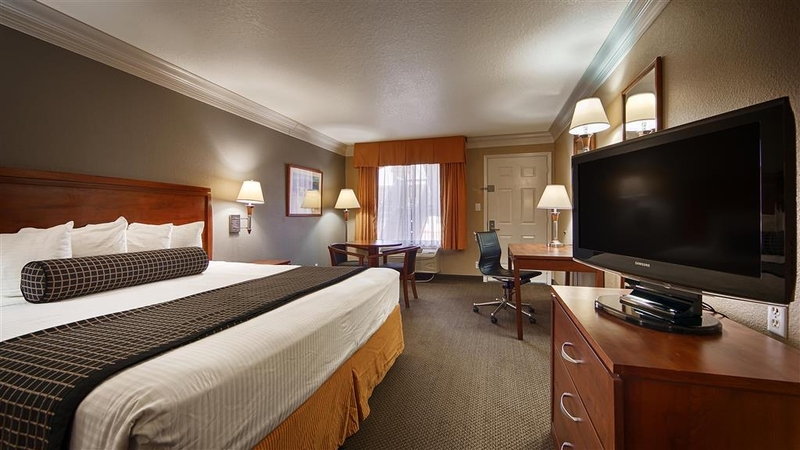 For the area, I think we made the best choice in hotels, but I would probably stay in a newer hotel in the Brazos area if I ever need to return, since the newer hotels offered comparable prices.